Looking to plan an epic Bachelorette Party in South Florida? We at RentalBoat.com have you covered from stem to stern with our custom vessels that can host Bachelorette Parties for up to 60 people! Who could ask for a better environment for a group of ladies looking to celebrate the last, remaining days of being a “single lady” before her fiance “puts a ring on it”? Stellar beaches, beautiful and scenic waterways, and a vibrant bar and restaurant scene are proof that you came to the right place to send the bride-to-be out in style. At RentalBoat.com, we are the top-ranked Bachelorette Party Boat Tour in Fort Lauderdale and Miami. 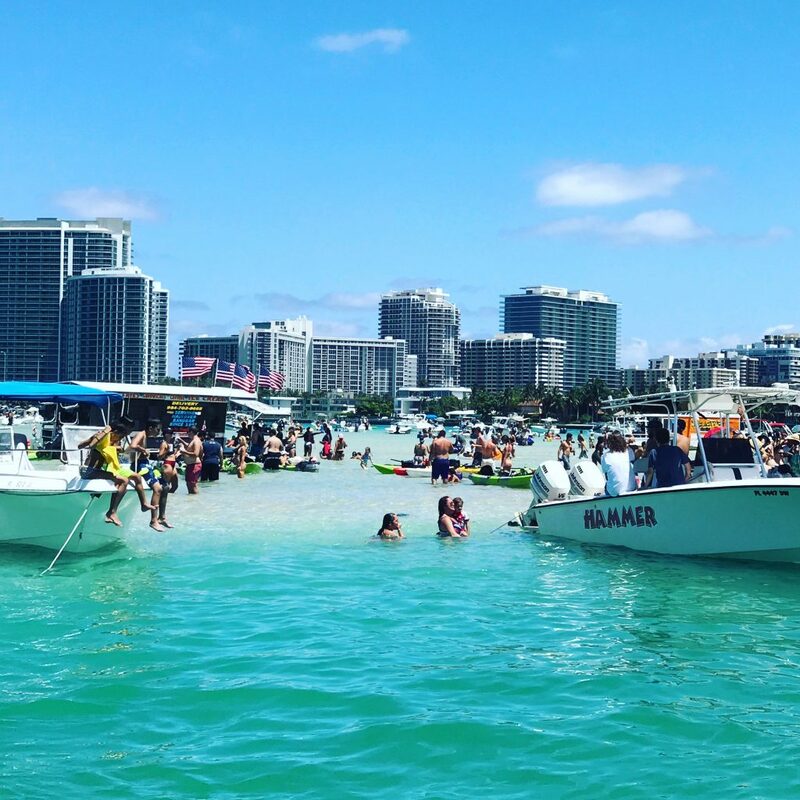 Come aboard our beautiful boats and celebrate with the bride-to-be as your very own “Captain Fun” chauffeurs your Party down to the Haulover Sandbar or throughout the “Venice of America” in Fort Lauderdale, stopping at world-renowned restaurants and hotspots to keep the energy high. It is all up to you! Our Bachelorette Concierge is standing by to make all the arrangements, along with recommendations for the best destinations to match your theme or motif. We offer half and full day voyages aboard your own private boat. Our deck/pontoon boats can accommodate up to 12 people. Also, if your Party includes more than 12 ladies, we have you covered! We can offer a yacht that takes up to 18 and another than takes up to 60! Is your group staying at a hotel on the water or Airbnb? No problem. We’ll pick you up to get the party started. Just sit back and soak in the waterfront mansions, the nearly infinite number of yachts and the tropical vibe. Give us a call to start planning an experience that you’ll be talking about for years! We’re here to help you find the perfect local restaurants, nightclubs and sights & sounds to make it a perfect Bachelorette Party!